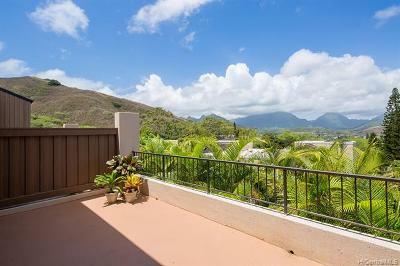 Bluestone is a gated townhome community accessed via Kaelepulu Drive in Lanikai and Kamahele Street in Enchanted Lake. Being at the top of a hill, Bluestone townhomes feature great views of the Pacific Ocean, the Ko'olau mountain range and the fairways at Mid Pacific Country Club. Bluestone townhomes were constructed in 1979 and originally sold in leasehold. Most units have been converted to fee simple. Lower priced units ($600's - $700's) are most likely leasehold. Please contact us for more information. There are 30 buildings with a total of 136 residences at Bluestone with six floorplans ranging from approximately 1,524 square feet to 2,209 square feet. The townhomes are two and three bedroom units with 2.5 to 3 bathrooms. Lanais range from 340 square feet up to 1,087 square feet. Bluestone has two separate entry gates. From Lanikai, Kaelepulu Drive serves as the entry point, just past Mid Pacific Country Club. From Enchanted Lake, take Keolu Drive and turn onto Kamahele Street. 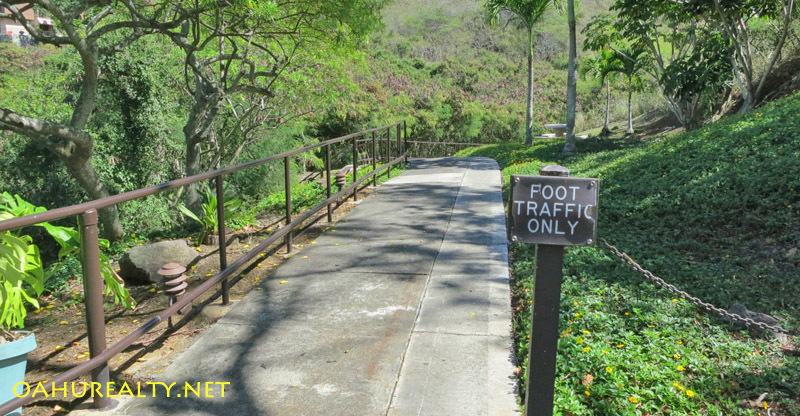 The Kaelepulu and Kamahele sides of Bluestone are connected by a walking path - there is no roadway for vehicles to travel between them. 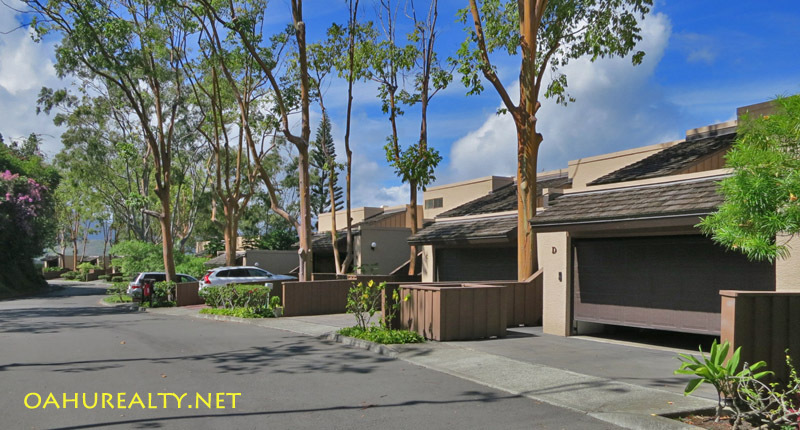 Townhomes on the Kamahele Street side have two car garages and generally larger floorplans. These tend to be more expensive. The Kaelepulu side has common garages with two covered parking for each residence. There are many amenities at Bluestone. There's a swimming pool, barbecues, tennis court, sauna, recreation area, extra storage, security guards and an onsite resident manager. Bluestone has 41 guest parking stalls. The property is pet friendly, residents may have two pets per unit. Bluestone's maintenance fees are approximately $1,105 per month, which covers the upkeep of the entire property and water and sewer for each unit. 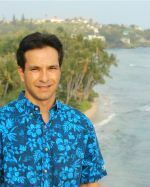 The Association's property manager is Hawaiiana, phone (808) 593-9100. 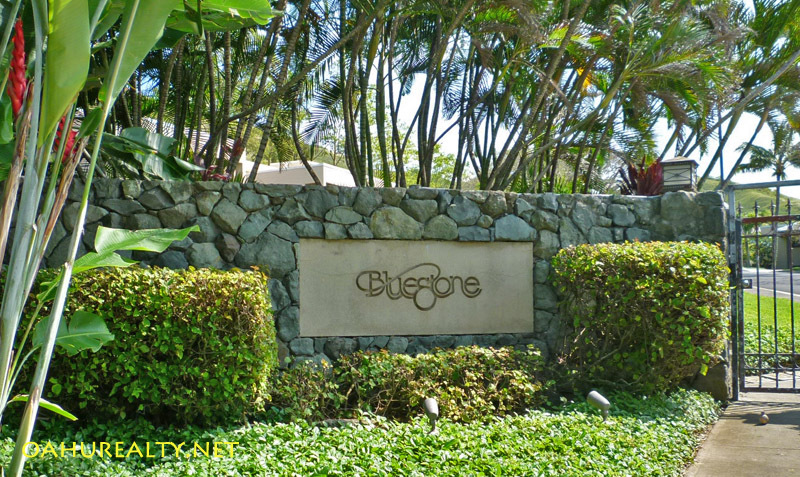 Bluestone's onsite phone number is (808) 261-7850. View and download Bluestone House Rules here. Click here to see homes for sale in Kailua.